You already know how to send the 20 free SMS messages from your cellular phone. You also know that if you’re a vodacom4me registered user you are anbe to send free MMS message from your cell phone too. 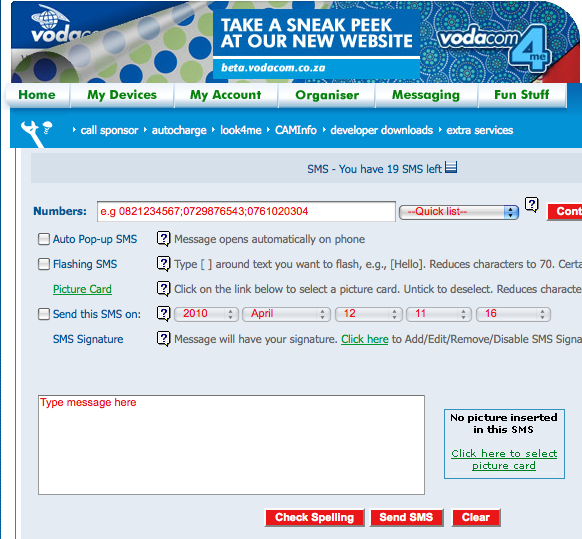 Now, with the launch of the new Vodacom site you can send 40 free SMS messages from the web. 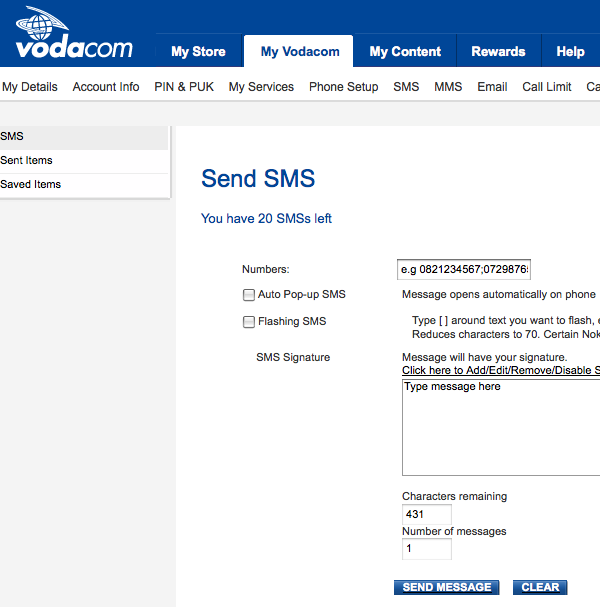 If you already have a Vodacom4me account you will be familiar with the 20 free SMS option available via their website.